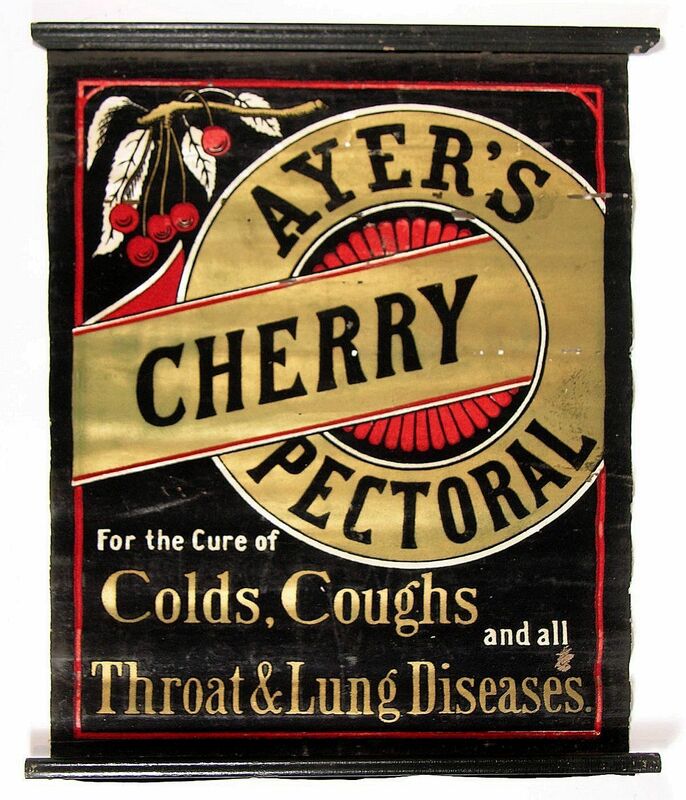 Pictured is an amazing Ayer’s Cherry Pectoral Brand wooden sign from the J.C. Ayers Company in Lowell, MA. This sign makes a bold claims for the liquid’s ability to cure cough, colds, throat and lung diseases. Such claims were common in the late 1800’s and early 1900’s before the FDA started outlawing such advertising claims.